Several landmark buildings were added during Engle’s stay as principal. During the 1906-07 school years the original Sierra College wooden building was torn down and replaced by a $40,000 building. The new building was a substantial brick structure consisting of 22 rooms on four levels, including a basement, and a large tin dome. Heating was by an automatic system which regulated both temperature and ventilation in every room.Tahoe. Within a few years statuary, pictures, and potted plants were added to beatify the interior of the school. The library was considered one of the finest in Northern California and the collection of American history in the History department was the best in Northern California. In 1909 shower baths and lockers for the Athletes were installed downstairs in the new building. In the next few years tennis courts were finished on the site of the old wooden building and a football field and track were installed. By 1918 the school showcased a large wooden gymnasium with sideline seating and a stage. The year 1926, however marked the beginning of a new era for Placer when the music/auditorium and science wings were added and the brick building was plastered over to match the architectural style of the two new wings. The auto shop and bus shed building along Agard Street were also constructed at this time. Ten years later, building began on Placer Junior College buildings, gym and athletic field during the final year of Engle’s administration, 1936. Athletics began to have an impact on the school during Engle’s tenure as well. In addition of a young coach from the University of California, Earl Crabbe, enabled the girls’ and boys’ basketball teams to create a dynasties of legendary significance. Between 1916 and 1920 his girls’ basketball team went 41-1 winning 37 games in succession at one point, compiling four straight undefeated seasons. Beginning in 1923 his boys’ basket ball teams won 16 out of 17 league championships, including 12 in a row. 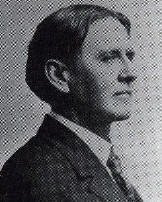 Crabbe also coached his men to eight Central California titles in 13 appearances. Engle was at the helm as a student endured the tragedy of World War I when a junior Red Cross Club was organized on campus with girls learning to make surgical dressings and the entire school donating over $500 to a war drive. The Engle years also saw the formation of the first high school cadet corps in the State of California under the direction of Captain Fred S. Roumage, a National Guard officer and later captain in France in World War I. The year 1914 marked the birth of the Placer High School district, thus again changing the names of the school to Placer High School. That same year college level classes were revived after having disappeared several years earlier. However, due to the enrollment drain caused by World War I, the junior college was abandoned by 1920. Certain ceremonies were now becoming traditional such as the Freshman Reception, the Christmas Jinx, the Junior Prom, the Senior Ball, Senior Picnic, and the Graduation and Alumni Dance. Participation in clubs and organization also grew, beginning with the Agricultural Science Organization which became the Future Farmers of America, the oldest club in existence. During the period of time the Placer Band came into prominence under the guidance of Otto Fox, entertaining the school and the community at various concerts and public performances. Academics also took on prominence during the Engle principalship. A four year curriculum became the norm with students tracked into Classical, Scientific, or Commercial fields of study. All paths were stiffly challenging with semester finals a dreaded period of time for the students. Miscreant students were dealt with severely and Detention became an unwelcome punishment. Still, Engle and his vice-Principal E.F. Waldo were highly respected by the students and could be seen attending various cultural, social and Athletic events at the school.